Caravan are featured in the latest edition of Classic Rock Magazine. Dave Sinclair discusses the influence of living ‘Nine Feet Underground’ at Lexington House in Canterbury and how ‘In The Land of Grey and Pink’ came together mainly from his perspective and memories. 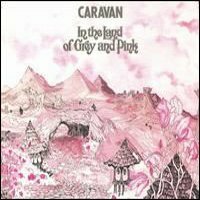 This entry was posted in Reviews and tagged Classic Rock Magazine, Dave Sinclair, Land of Grey and Pink, Nine Feet Underground on May 15, 2010 by caravan.